I'll start by sharing something from last week's fantastic Tongue Fu at The Photographers’ Gallery. A one-off show featuring a unique art installation with CR&D as part of the galleries current exhibition of work by William Burroughs, David Lynch and Andy Warhol. It was a wonderful night celebrating the beats, an evening of improvisation, poetry, jazz and psychedelics alongside Jazz Man John, Toby Thompson, hosted by Chris Redmond. I have two books out this year, a new BBC music documentary in production, several commissions to write plus a plethora of shenanigans, summer festivals, tours and travels in the pipeline. 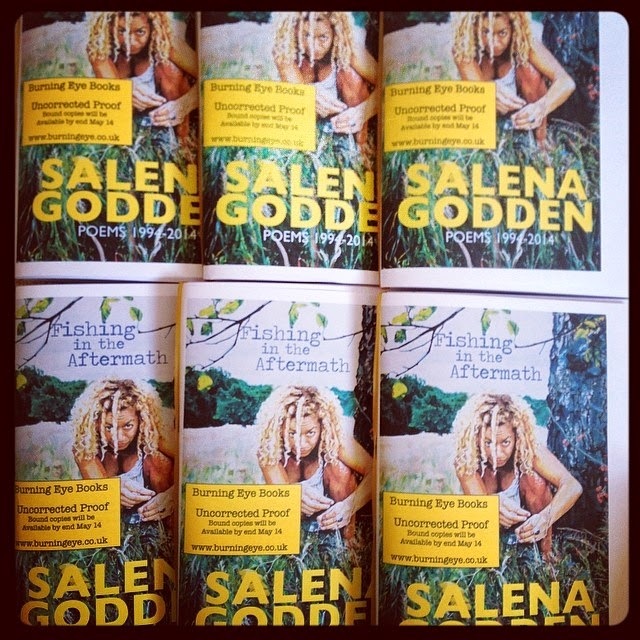 Pictured above are beautiful proof copies of 'Fishing In The Aftermath Poems 1994-2014' marking an anniversary of sorts, twenty years of poetry and performance, 'Fishing in the Aftermath' will be published with Burning Eye Books in the summer of 2014. The wicked cover artwork is an oil painting 'Poet and Painter' by my great friend, the artist Kelly-Anne Davitt. 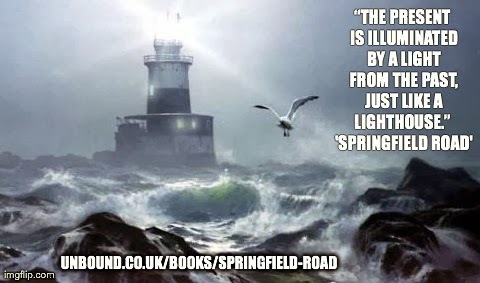 This is the only photograph of me with my father and its the cover for my eagerly awaited literary memoir 'Springfield Road' which was successfully crowd funded thanks to all of you. This book will be published with Unbound Books also later in 2014. I thank you all for your patience waiting for this one to drop, its on its way... I will be able to tell you more about both books very soon. Please get in touch if you wish to review or blog about either book. I'm very excited to interview the living legend Salena Jones this month. I am going to meet my namesake and this is where my projects collide. I mention Salena Jones in Springfield Road because my father played for her in the early 1970's. My mother has told me Salena Jones made such an impression on my father he insisted they name me after her. 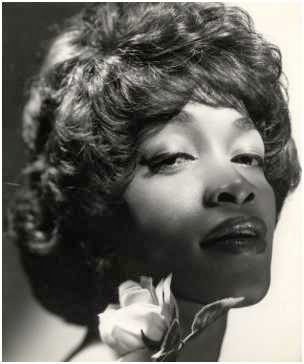 By coincidence Salena Jones played some of the same clubs and blazed a similar trail to that of Little Miss Cornshucks. 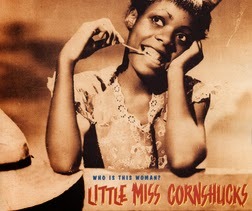 She also shared bills with Little Miss Sharecropper, Laverne Baker who was on the same label as Cornshucks. Salena Jones of course had the success and Little Miss Cornshucks disappeared into obscurity. Right now, I feel like I am becoming some kind of jazz ghost whisperer, but I am so curious to hear Salena's story, her early life playing those legendary haunts and her memories of boogie-woogie and all that jazz. 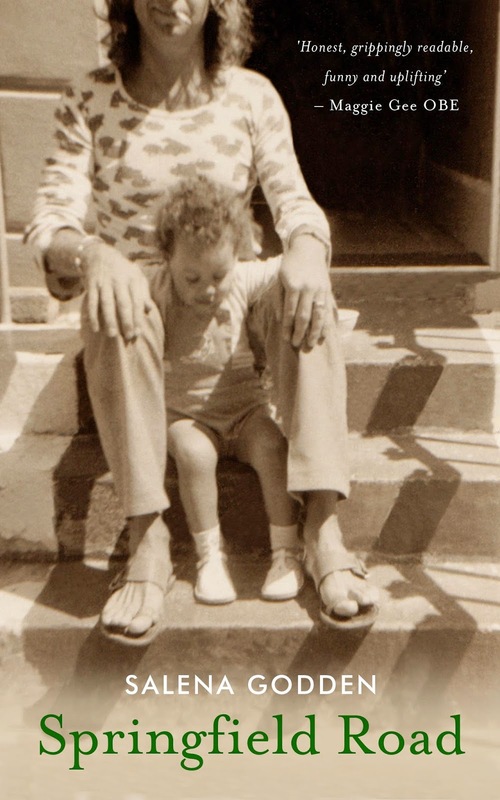 And of course I'll ask her if she remembers a certain Irish jazz session musician, my father, Paul Godden.